Following a diet of any kind can be tough to stick to. Can I have a slice of pizza with friends or no? Is bread allowed on this diet or no? Going through the motions, keeping track of what you can and can't have becomes difficult unless there's a mental shift from a diet to a way of life. Whether you're following a diet, meal plan or simply eating what your heart desires I urge you to consider The Mediterranean Diet. This video walks you through a day in my life as I incorporate aspects of the diet into my daily life beginning with breakfast, ending with dinner and even precious time with friends. It's me in the video, but not my voice! ...group projects require delegation. The Mediterranean Diet is not a typical diet, but rather a lifestyle based on traditional foods (and drinks) of countries surrounding the Mediterranean Sea. The "diet" includes foods, activities, meals with friends and family and wine in moderation at meals. Physical activity and socialization with others is at the base of this diet with lots of whole grains, fruits, vegetables and seafood at each meal. Research shows benefit to healthful diets such as The Mediterranean Diet, AHA diet, DASH diet, and USDA My Plate. Such diets have been linked to lowering heart disease risk, fighting certain cancers, chronic diseases, hypertension and weight loss/weight management. 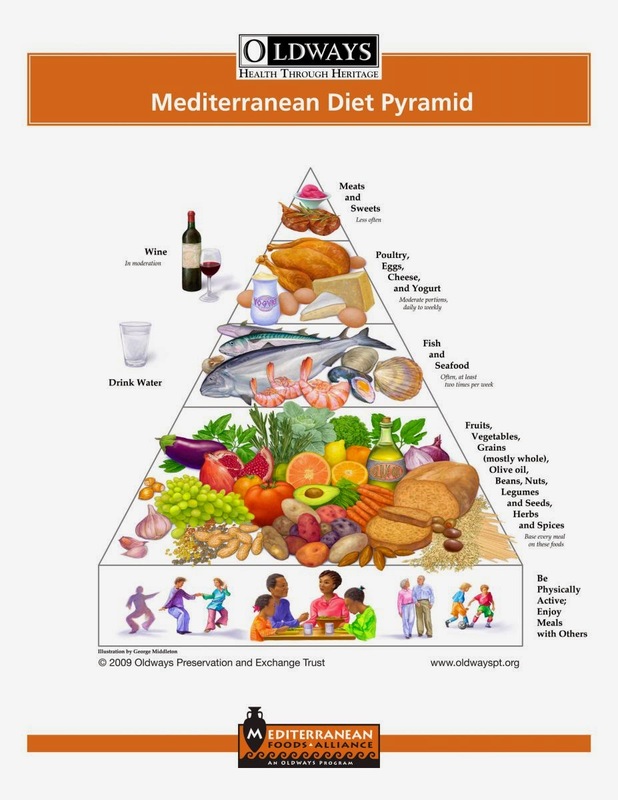 Thinking about how to incorporate The Mediterranean Diet into your life? It's easy! Watch the video and find out how. Leave a comment below and let me know what you think! This is an Atoms Collide Production Click here for more.